With the excitement mounting, the launch of the Tomorrowland of Transformation turned out to be a massive mass movement capturing popular imagination, writes Supreeta Singh. The year 2017 had just ended with a bang after an endless series of parties. Holiday hangover coupled with winter chills had ensured that people were happily nestled into their own world taking the long awaited break from humdrum routine. In a couple of days, the daily clock would start ticking again. But just before the curtain came down to the festive season, the city was warmly woken up to the fantastic smell of the divine Sephora – the maverick make up haven that houses more than 200 selective brands plus its own label – putting the city back into a fabulous dreamland, especially the women, and understandably so! Being one of the few lucky ones, I had the privilege of getting the first preview of Sephora. 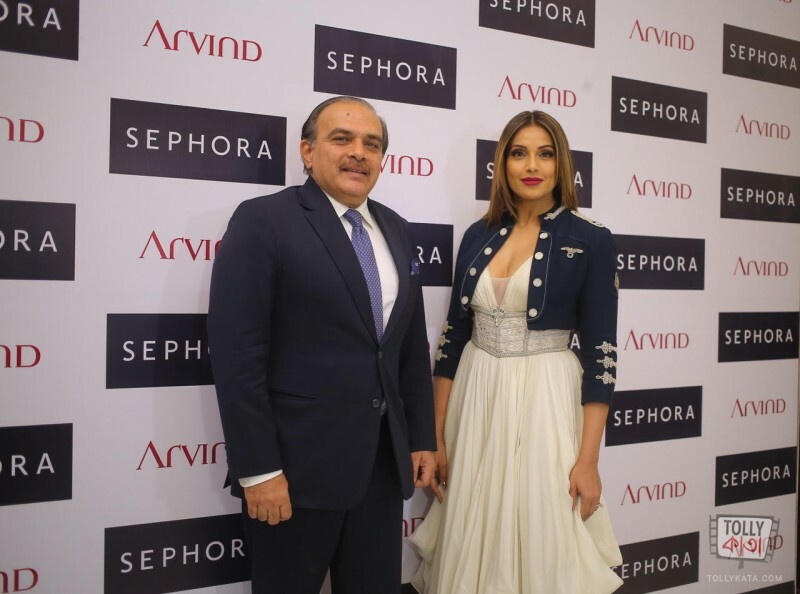 Located at South City Mall, Sephora opened its doors with a pre-launch party hosted by my dear friend and fashion designer Pranay Baidya followed with a media launch by the stunning Bollywood diva Bipasha Basu on January 5 and 6 respectively. On the evening of January 4, as I stepped into the Tomorrowland of Transformation I felt giddy with pleasure. Stretching from one end to another, were rows upon rows of bright, shining, alluring, inviting beauty and cosmetic goodies that instantly made my heart jump. 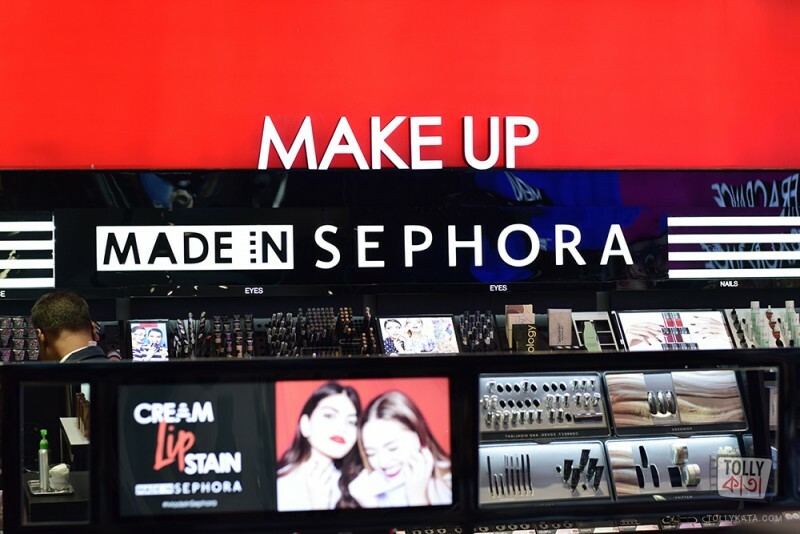 Derived from a Greek word, Sephora can be translated to mean the Beautiful One – promising a dream and delivering a reality to millions of girls across the globe. I felt greedy to my bones and wanted them all! 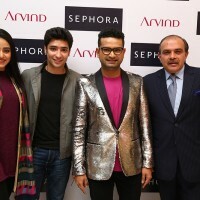 Featuring the best brands internationally, the run up to the pre-launch party of Sephora had all the ladies of the town in a tizzy. “When?” was the Question of the Hour. Even without the slightest provocation, Facebook and Instagram were buzzing with posts building up to an unprecedented excitement. The launch party saw a huge footfall of over 300 guests, unlimited shopping and sheer delight that finally Kolkata too boasts of an exclusive high end brand. The general feedback? “No more hoarding of makeup. We now have Sephora!” the ladies cooed. The guests were seen enjoying makeovers, skin consultations and divulging in some serious beauty indulgence while sipping on cocktails and delicious hors d’oeuvres as a prominent celebrity DJ played some foot-tapping tunes. Prominent names seen at the launch festivities were Tollywood newly-weds Riddhima and Gaurav, singer Lagnajita, actress Ritabhari, beauty specialist Bridgette Jones, socialite Sybilla, PR maverick Rita Bhimani, Director of South City Mall Jugal Khetawat, social activist Urmi Basu, art gallery owner Priyanka Raja, director of choreography Sudarshan Chakravorty, restaurant owner Johanne Mantosh and celebrity make up duo Kaushik Rajat. “We are very excited to open our first store at one of the best shopping destinations in Kolkata and are hoping that our most loved beauty enthusiasts and connoisseurs welcome us with open arms. 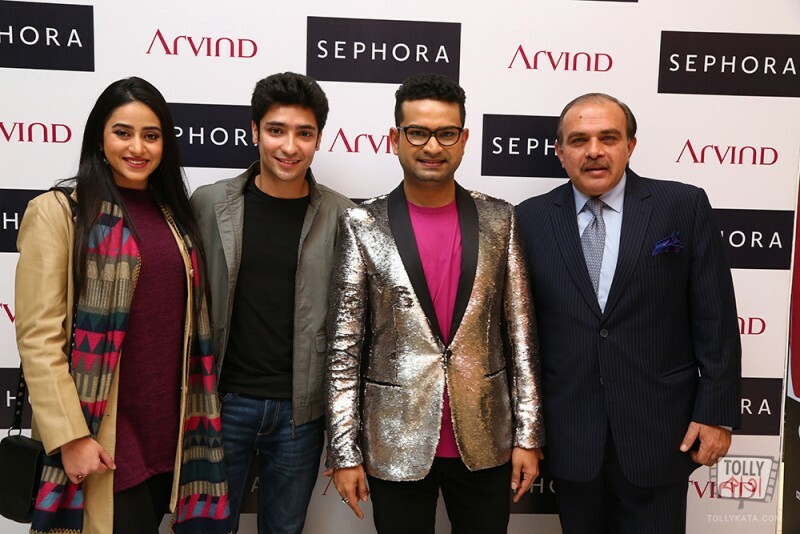 With our vibrant store and diverse product range, we look to provide an unparalleled shopping experience and meet the beauty needs of all our consumers,” said Vivek Bali, Chief Operating Officer, Sephora India at Arvind Beauty Brands. Outside, the queue was getting longer and longer. A bevy of women were waiting impatiently to strike the store and do the loot. As the shutters were rolled up, the battle to shop the best had begun. It continues.